"Curiouser and curiouser" down the Rabbit Hole we go! Come join Alice on her fantastical journey through Wonderland. 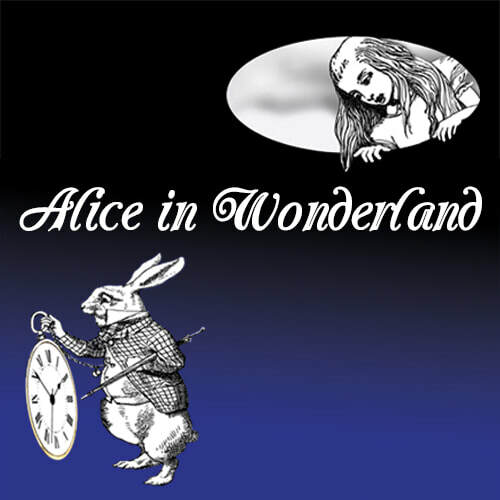 The White Rabbit, The Cheshire Cat, The Caterpillar, the Mad Hatter, the Queen of Hearts, all your favorite characters are here in this musical adaptation of the classic Lewis Carroll tale. Another one of our original adaptations that we are revisiting for our 10th anniversary season, Alice gives the entire family a chance to spend an utterly “mad, mad day” at the cauldron enjoying one of the most famous and enduring children's classics of all time.